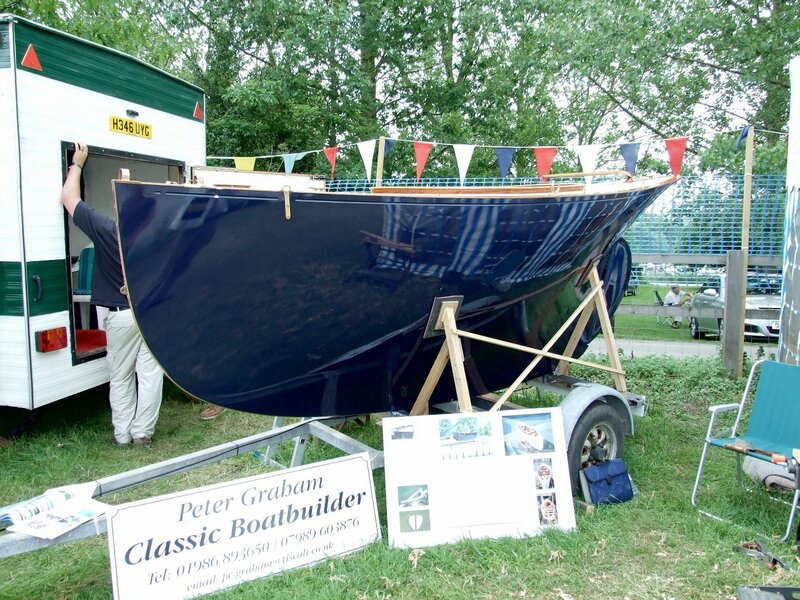 One of the more amazing sights at the Beale Park Boat Show was Molly, an extraordinary toy-like plank-on-edge dayboat being built by boatbuilder Peter Graham. 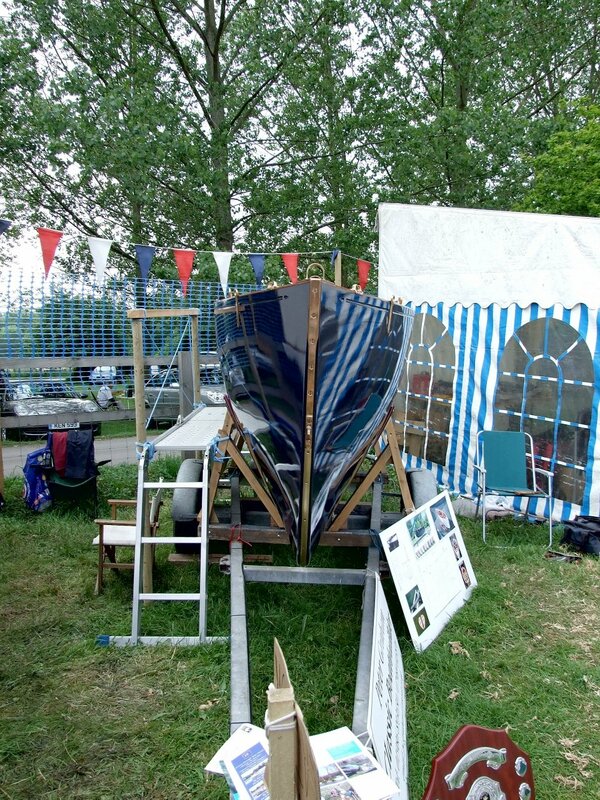 At the time, I thought that seeing a boat like this would be a once-in-a-lifetime event as few people would build boats like this, and I’ve been saving it for a rainy day as a treat for intheboatshed.net readers when there wasn’t much else going on. 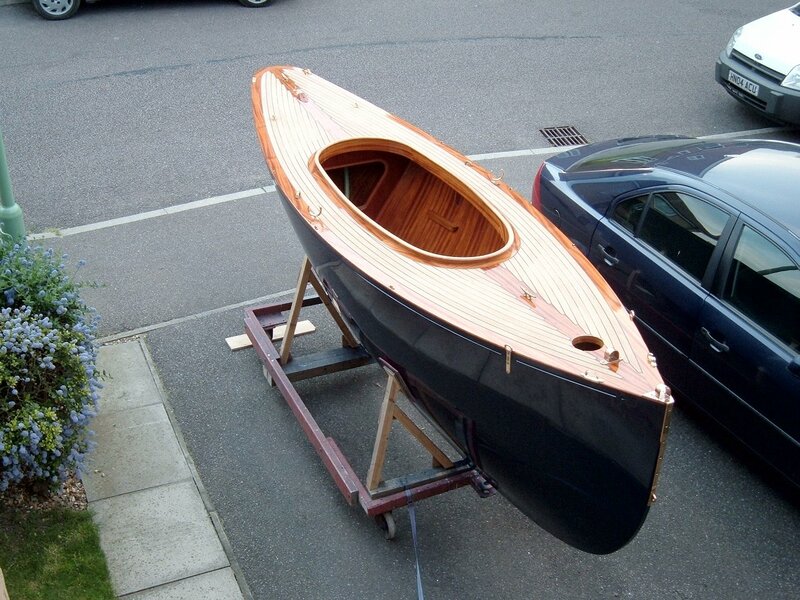 But a doubly amazing thing has happened – an enquiry from a boatbuilder in the US who says he is building a boat to the same lines, and has asked for contact details for Peter after seeing the boat in a magazine. Of course, as I had photos to share I was happy to help. So now we know that two of these amazing little boats are being built. 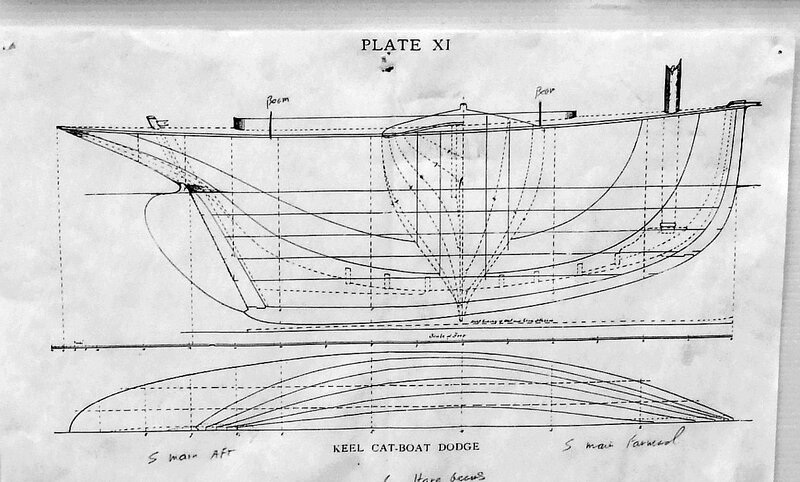 But perhaps the most surprising thing about the enquiry is that it seems to have come from the US – a land where in the 1870s and 80s racing yachts were so shallow and beamy they were nicknamed ‘soap dishes’ while the British were busy building to ‘plank-on-edge’ or ‘leadmine’ lines. 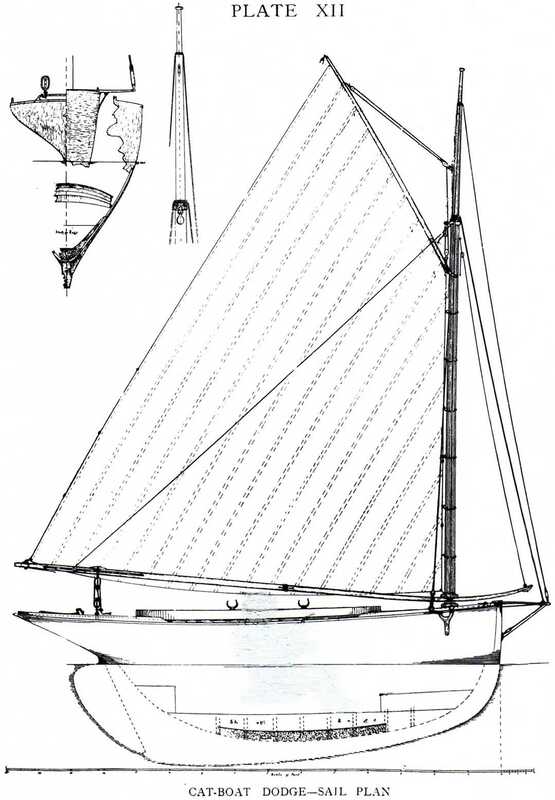 The two styles of yacht regularly fought it out until a kind of compromise between the two extreme hull types eventually won out. But compromises can have a dull quality, and it’s the lack of compromise that makes a boat like this exciting, at least to me. I urgently need to know how this boat sails – I hope she sails as well as she looks, for when I saw her it was clear Peter had done an outstanding job. Funnily enough there was a restoration at Beale Park a few years back with very similar lines to the excellent boat in your pictures. I'm not sure exactly what year [probably 2001/2] or what she was called but perhaps you saw her there? I don't recall seeing her… Does anyone out there have any clues that might lead to some more information please? Molly is currently for sale.